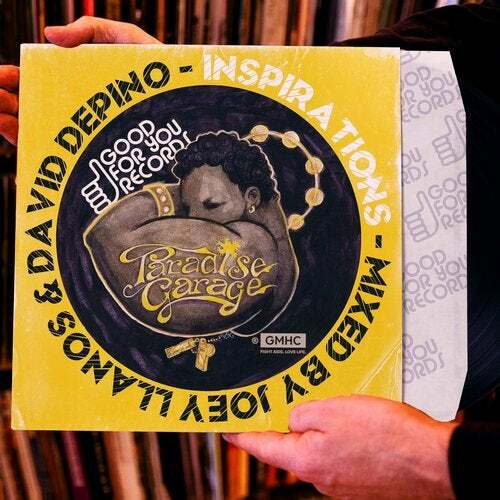 THE LOW-DOWN Paradise Garage: Inspirations is nothing like any of the previously-released Paradise Garage comps, in that the music on this release is not from the Garage era. As the title suggests, Paradise Garage : Inspirations is a collection of music made by producers who had some kind of life changing experience on the hallowed ground at the Garage, or, they had some kind of relationship with Larry Levan which inspired them to follow their passion for music. The Inspirations compilation will feature the last ever Frankie Knuckles production, a project Frankie and Kenny Summit worked on with Eric Kupper, a remix of 'You'll Never Find Another Love Like Mine' by the legendary Lou Rawls. The comp will also contain unreleased remixes of iconic club tracks like Loves Last Episode's remix of Deee-Lite's 'Power Of Love', and seminole club classics like the Masters At Work remix of Todd Terry's anthem 'Sume Sigh Say' and Francois K's "Time & Space." Aside from Frankie Knuckles, Grammy Winning Producers Louie Vega (pka MAW) and David Morales also offer their super producer styles to this great body of work. Producer Eric Kupper is present here, having mixed 2 singles that won the Dance Record of the Year Grammy and recently celebrating his 113th Billboard Club #1 Single. The Paradise Garage ushered in a new era of dance music, and this compilation pays tribute to those who've helped carry the torch started by Mel Cheren, Larry Levan and all those affiliated with the Garage. Topping this all off is the masterpiece cover art designed by Alexander Juhasz, the artist behind the Oscar winning films The Little Prince and The Babadook.